The first “thwack” of balls hitting racket strings came a little after 9 a.m. on the second day of fall semester classes. 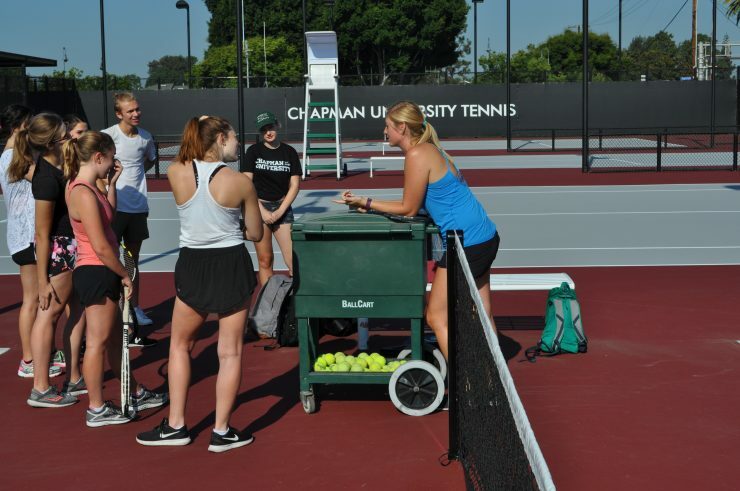 Seven students in instructor Beri Dwyer’s beginning tennis course became the first class to take the courts at Chapman University’s sleek new Erin J. Lastinger Tennis Center at the corner of Cypress Street and Palm Avenue. Instructor Beri Dwyer, right, introduces herself during the first class. 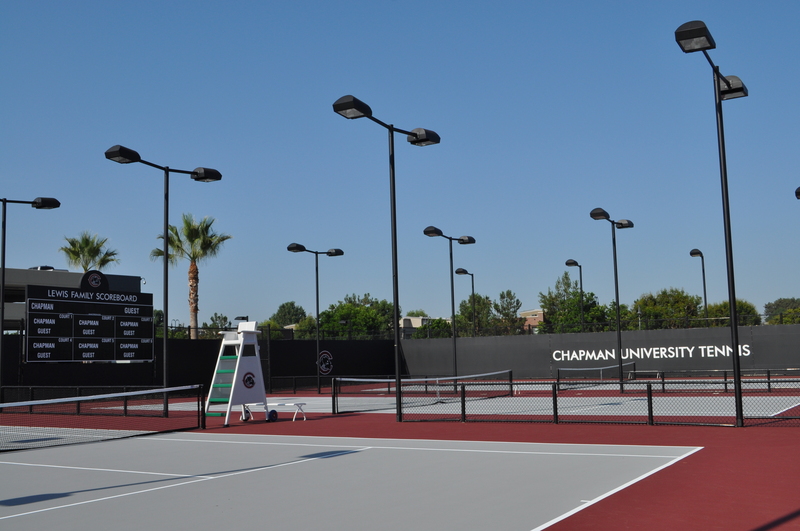 The $6 million facility is home to Chapman’s intercollegiate tennis teams — they got first dibs on the courts a few days earlier — but it also will be open to the community at designated times. 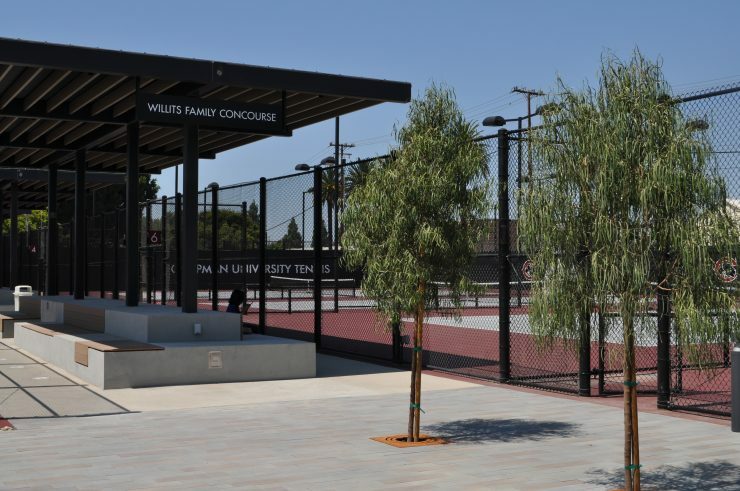 With seven lighted courts in Chapman’s cardinal-and-gray colors, restrooms, drinking fountains, expansive shade structures and seating for spectators or just players taking a break, the new center is a huge upgrade from Chapman’s former facility. “We went from four courts to seven courts and we have a clubhouse, player lounge and kitchen, a ton of things,” said Chapman tennis coach Will Marino, whose teams have been vagabonds the last two seasons, practicing as far as 12 miles from campus after the old courts were torn down to make way for construction of the Center for Science and Technology. The new tennis facility already has been a boost to recruiting, Marino said, and with a large scoreboard for team matches and plentiful shaded seating, the Lastinger Tennis Center is spectator-friendly. 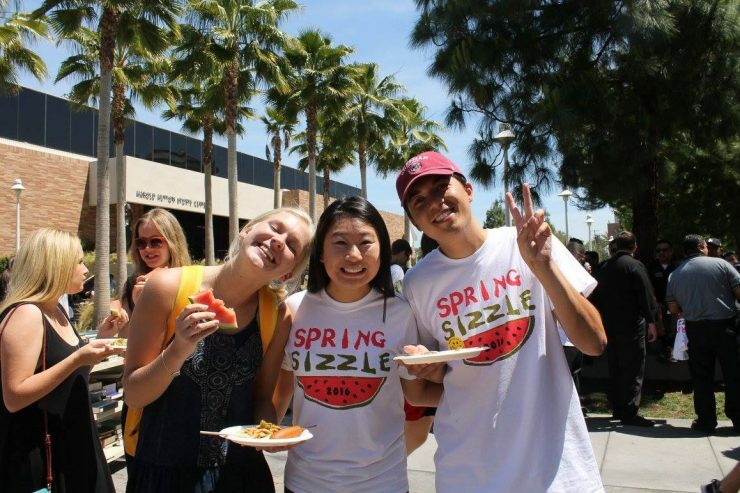 Students hoping to take advantage of the courts aren’t too late to enroll in fall classes. As the semester opened, there was plenty of room in beginning, intermediate and advanced sections. Tristan Fields ’18 used to walk by the construction site. The Lastinger Tennis Center will be formally dedicated on Saturday, Oct. 7, during the Chapman Family Homecoming. “I had seen it when it was dirt two years ago,” he said. “I didn’t know what they were putting up. I just assumed it was going to be a parking lot. As Dwyer introduced students to the rudimentary aspects of the game, “Baseline, service line, net, obviously,” she said lightheartedly, the dinging of bells signaled the approach of a train. Chapman’s players will be accustomed to the sound, but visiting teams might not. Consider it one more part of Chapman’s new home-court advantage. A large shade structure covers the ample spectator-seating area at the Lastinger Tennis Center. 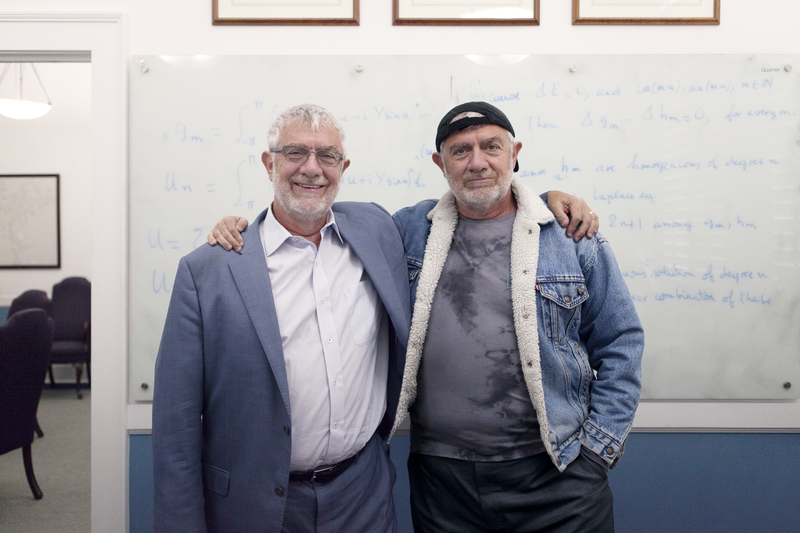 One Giant Leap – For athlete and mentor, a shared journey culminates in a singular propulsive moment.